← Quick & Healthy… Winter Soups! Did you hit the snooze button about 3 times this morning? When you wake up, do you wish you could sleep a little bit more? Did it take you longer than 15 minutes to fall asleep last night? If you answered “Yes” to any of these question, your hours of quality, uninterrupted sleep could be affecting your waist line! 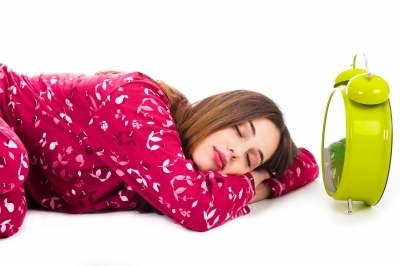 Poor sleep habits can contribute to about 10% weight gain for many people. There is an inverse relationship between weight and sleep; the less sleep you get each night, the heavier you tend to be. Why you ask? Hormones! Leptin is a hormone that is made by the fat cells and signals the brain to stop eating. Ghrelin is a hormone made by your stomach that signals you to continue eating. Studies have shown that Leptin levels are lower and Ghrelin levels are higher in people who sleep fewer hours. One study out of Wisconsin showed a 15% reduction in Leptin and 15% increase in Ghrelin for those who slept 5 hours compared to people who slept 8 hours per night. When you sleep less you take in more calories. To compound this affect, if your Leptin levels drop, your body can often mistake this for “starvation”. This can cause a decrease in your body burning calories. This translates to you putting on more weight even if you don’t eat any more food! Take home message, the better quality and quantity sleep you get each night, the easier it maybe to lose and keep weight off. How to get more sleep! The Dr. Oz Show featured a segment “Lose Weight While You Sleep”. 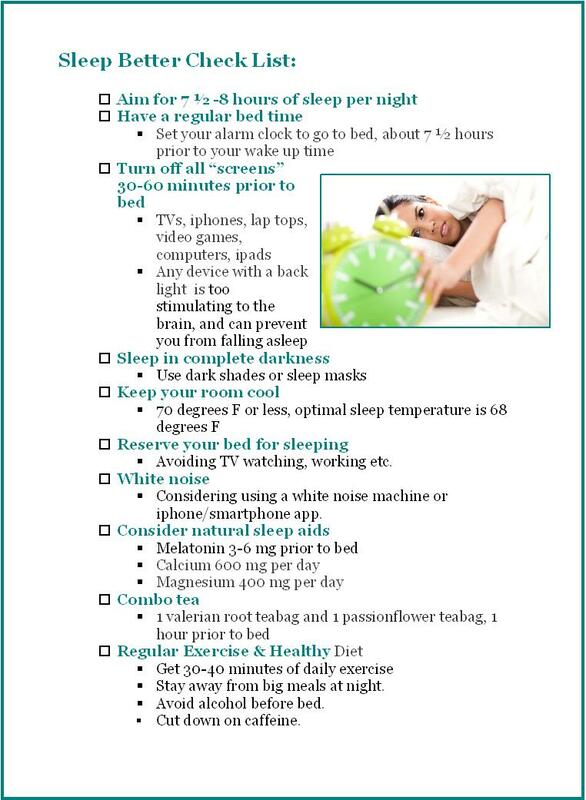 Dr. Brues also known as “the sleep doctor”, had some great new suggestions that I added to my Sleep Better Check List. My challenge for you and myself this week is to aim for 7 1/2 hours of sleep per night using my Sleep Better Check List. Our waist lines will thanks us! This entry was posted in Self Care, Uncategorized and tagged Change, Sleep, weight health, Weight loss, years to my life. Bookmark the permalink. 2 Responses to Can You Lose Weight While You Sleep? This is a great article, Kerri! I often forget how important it is to get enough sleep….especially for kids/weight. Can that checklist be printed as a handout? Thanks for the info! Thank so much. You are more than welcome to use the check list.